We all have our struggles. One of mine is sleeplessness. But I’ve found at least some benefit: I can read during the nights. I’ve begun maintaining a reading log. Nothing fancy, but it helps in at least three ways. First, it helps me maintain a ledger of what I’m reading. Second, I am better able to see patterns among books and thinkers. (Some writers are worth more of my time; others have already consumed too much of it and I move on.) Third, a reading log provides a means of evaluating ideas. Over the last several months, I have not written much blog-wise due to my current location with the military, but here is a list of some of my recent reading. In the left column is the book; the middle column lists the book’s author; and the third column is my response–usually just a fragment, phrase, or sentence or two. At the bottom are some of the volumes I’m still reading due to their length and/or weightiness. Hope you profit. My thanks to fellow readers who have pointed books and writers out to me that would have otherwise escaped my attention. Suttree McCarthy Among the saddest books I have ever read. It may also be the richest book I read in terms of its delight in language and the fecundity of words. McCarthy is—his dark vision aside—a wordsmith on par with Joyce and Shakespeare. Cormac McCarthy’s Nomads Andersen & Kristoffer A master’s thesis that was large on jargon and intellectual posturing and short on coherence and clarity. Resolutions: Advice to Young Converts Edwards My only complaint is that I waited this long to read it. Edwards was certainly a theologian/philosopher, but in this volume, you also see he was a pastor with a love of discipling God’s people. On Reading Well Prior A reminder that some of the world’s greatest literary pieces are explorations of the biblical worldview. A truly good book about books. The Battle for the Beginning MacArthur I know of no other living Christian writer who is as biblical and clear as John MacArthur. In this volume, he tackles head on the mutually exclusive worldviews of biblical creation vs. macroevolution and materialism. An important book. The Stranger Camus When I read it as an 18-year old, I thought it masterful. Now, er, hardly. A sad book about life without God, life without hope, and life without redemption. In the Year of Our Lord Ferguson One of the best books I’ve read in recent memory. The bottom line up front: the true Christian church must always keep her focus on the truth, the gospel, Christ, and purity. Today’s pagan headlines are merely tomorrow’s fertilizer. Keep a biblical perspective. The Brief Wondrous Life of Oscar Wao Diaz Reminded me why I don’t enjoy postmodernism or post-postmodernism. With its trendy style of blending genuine pity with trendy pop-culture and profanity and gender politics, this is just what literary committees adore, but it makes for poor literature. Who will want to read this modish stuff in a few years? Egads. Killing Jesus O’Reilly This could be helpful for skeptics of the Christian worldview. Killing Lincoln O’Reilly Very enjoyable. I learned even more to appreciate Lincoln and to pity him. Killing Patton O’Reilly Leadership for Patton was what he seemed born for. He was a patriot, a very fallen and cruel man, but also courageous like few others. When hell stared him in the face, he spat and kept right on marching. And I thank him and those he led. Animal Farm Orwell Communism/Progressivism/Socialism fails—everywhere and always. But dogs return to the vomit. And people often act like animals. The Catcher in the Rye Salinger Hard for me not to gush here. In my view, one of the best novels ever, esp. with regard to narrative voice, point of view, and tone. A masterpiece. Exit West Hamid People are not reducible to religion, ethnicity, and politics. The human heart is the problem; we are sinners and we need a savior—and government is not the savior. Ever. Kidnapped by the Taliban Joseph There are good and bad folks everywhere. Sometimes good intentions lead you into bad situations. But grace can still appear and even endure. I Know Why the Caged Bird Sings Angelou An anthem to the artist to sing—if for no else than himself/herself. Some will listen. Tom Sawyer Twain I preferred Huck Finn. But similar episodes and themes are here—innocence vs. experience; corruption; escape vs. responsibility. Blood Meridian McCarthy Perhaps the most violent book I’ve ever read (again). Horrific and beautiful. McCarthy descends into the pits of evil and reprobation, and takes us with him. There he writes in graphic detail. But it is so heartbreakingly beautiful in its expression that you endure the rapacity and cruelty and cannot see life the same way. The Sun Also Rises Hemingway Immature adults taking themselves way too seriously and drinking way too much alcohol get mad at the state of the world, but refuse to take responsibility. This was a much better book when I read it as a 19-year old, if that helps. Probably the last time I’ll do this one. The Sound and the Fury Faulkner A watershed book in terms of its use of interior monologue, non-linear time, flashbacks, stream of consciousness, etc. Books Are Made Out of Books Crews A book about the books that have shaped Cormac McCarthy. Appreciative of this book. A Long Obedience in the Same Direction Peterson Beautifully written by a man gifted with discernment, biblical maturity, and a pastor’s temperament. Facing the Music Brown A book of Larry Brown’s short stories. Kind of like Harry Crews’ fiction, these are stories of down-on-their-luck southerners who ain’t got no quit in ‘em. Excellent fiction. Larry Brown: A Writer’s Life Cash A biography of Larry Brown, of his determination, struggles, literary triumphs, and isolation necessary to create. Everything that Rises Must Converge O’Connor It’s Flannery O’Connor. Read it. Then read it again. Hitler’s Religion Weikhart Excellent, readable, researched book of Hitler’s worldview (pantheism). Hillbilly Elegy Vance No matter how successful we are in the world’s eyes, we never really leave behind the boy or girl we were at 12. Our childhood affects us till we die. A Wrinkle in Time L’Engle Childhood imagination sometimes portends divinity. Desperadoes Hansen Literary western genre. Beautiful language. A bit slow going, at least for me. Light in August Faulkner Rich in interior monologue. A slow read for me. The preacher was my favorite character. Killing the SS O’Reilly There is no bottom to man’s evil. Love Thy Body Pearcey Read Nancy Pearcey’s books. You do yourself a disservice if you don’t. Logical, persuasive, and clear. Excellent. Go Set a Watchman Lee Even the folks we think of as ‘good’ are sinners. I’m not one who has a high view of modern news media. It has degenerated into name-calling, sound bites, and showmanship. It’s entertainment designed to appeal to the lowest common denominators and/or logical flaws—stereotyping, red herrings, and ad hominem attacks. The West has almost completely replaced reasoned and respectful debate with inanity and invective. I prefer to read. There at least one may weigh arguments writers have put forth, and evaluate ideas. Instead of yelling at each other, often mischaracterizing each other’s views, etc. Reading thoughtfully engenders—hopefully—discernment. So after I read the reviews on the back cover of Hamid’s novel, I put the Vietnam memoir I had been reading this week aside, and started on Exit West. That was three days ago. Now I’m done with the novel. Not done in a cynical sense, but done reading it through for the first time. It was that readable. To be a novel with relatively little dialogue, it moved quickly. Why? Below are some of my thoughts as to why it succeeded as a story and why I concur with the reviewer I cited, and why you might want to read it. Our world in 2018 is characterized by the constant deluge of information; cultural flotsam pervades most people’s lives more than wisdom does. Novel reading is out (except, perhaps, by some introverts, intellectuals, and retirees). If you want to be a 21st century man, just post, tweet, and emote via social media; that’s where the bang is. Think of these things for a moment: we can purchase drones online; smart phones put the world in our palms (if you imagine it, you can browse for it); cross-cultural pollination is a reality of 21st century life (homogeneity is largely receding in many parts of the world); terrorism is not localized to the Islamic Middle East but it is likely in your zip code; we are networked through smart phones but are falling apart at the spiritual seams. The 25-year-old in 2018 lives in a very different world than a 25-year-old lived in during 1948 or even 1988. He texts more than he converses face-to-face. She may have 2,000 Facebook friends but no one with whom she spends a Friday evening with at a coffee shop or café. The world, in short, has changed. Technology has shrunk the globe and brought us both closer together and farther apart. We’ve constant information but little wisdom. What do you see here? In short, here is a family in crisis. Terrorism is destroying a nation (sound familiar?). The father figure, sacrificial and loving, seeks to send off those whom he loves so that they may find a better life. (It’s somewhat akin to Naomi telling Ruth and Orpah to go back to their people in Moab, if you know the reference.) Terror. Cross-cultural pollination. And yet the three people in this scene from Hamid’s novel are almost completely alone. The father is a recent widower, and his only life, really, is trying to protect his son and the son’s girlfriend, Nadia. The young lovers, Saeed and Nadia, have smart phones, which bring the terror of the world to their palms, but the irony is that the human connection is being severed because of terror and sin. This is a different world. We have become numb, I think Hamid suggests, to the human … because the human looks more like the bestial. The two protagonists flee terror looking for connection—human connection, love, trust, etc. in a world bedraggled by information deluges, rapacity, and murder. They are both types of the “everyman,” if you will. I won’t spoil the novel for you. Read it yourself. Think about the issues Hamid raised. Ask yourself if he has not captured accurately our world. Brace yourself: there are some unpleasant scenes in the book. But they are necessary to portray modern life as it is. Ask yourself if the ending gives you reason to hope. I appreciate very much writers who spur us to explore difficult questions, and Hamid has succeeded in doing that in Exit West. There are advantages to battling sleeplessness, I suppose; one of those advantages is rereading great novels. I came across an old paperback of Salinger’s lacerating, hilarious, façade-shattering masterpiece The Catcher in the Rye in, of all places, Iraq. I’d read The Catcher in the Rye twice before, but this rereading was the most meaningful so far. C.S. Lewis, another enduring favorite for me, touched on the value of rereading great books: “No book is really worth reading at the age of ten which is not equally—and often far more—worth reading at the age of fifty and beyond.” Yes and amen. But how is Catcher great? In at least two ways, Catcher is a remarkable piece of fiction: 1) Salinger’s mastery of tone and 2) the way in which he explores how the sensitive person (artist/writer/musician, etc.) sees the nuances, details, and beauties in life that the mass of humanity tramples upon. This sensitivity to nuances alienates Holden from the less perceptive people around him. First, Holden Caulfield is one of the most realized and believable characters with regard to tone in all of serious literature. He is as real to me as Tom Sawyer and Huck Finn, as real as Emma Bovary, as real as Santiago on his boat, as real as David Copperfield coming into his own, as real as Lear as he goes mad before his own family and kingdom, as real as Scout and Jem, as they gossip about Boo Radley. Holden Caulfield is a 16-year-old boy, repeatedly expelled from prep school. Why? He doesn’t apply himself, as the adults in his life tell him. He does not play by the rules. He neglects most of his class assignments and focuses instead on writers and books he particularly appreciates (Thomas Hardy’s novels, Dickens, Shakespeare, etc.). Holden passes his English classes, but even in those, his mind wanders too much; he neglects the discipline required to succeed in the prep school system. He learns more through self-study than he ever does in the classroom. He obsesses (not too strong a word?) about particulars and details 99% of the other students and faculty never notice and/or suppress. (More on this idea below.) But Holden’s speech and mind are believable. Well, you could see he [Mr. Spencer] really felt pretty lousy about flunking me. So I shot the bull for a while. I told him I was a real moron, and all that stuff. I told him how I would’ve done the same thing if I’d been in his place, and how most people didn’t appreciate how tough it is being a teacher. That kind of stuff. The old bull. Holden knows his own immaturity with regard to his poor academic performance, but he respects the humanness of Mr. Spencer. He has connected with him in spite of not doing well in his class. Moreover, Holden’s thoughts are preoccupied with the ducks. Who cares for them? Of course any number of connections about providence may be asked here. Is there a caring God over all or are the ducks (and all of the cosmos by extension) alone? And then, after we as readers sense Holden’s fatal flaw (he retreats from “the system” instead of accepting it, and making the best of it), we see how attuned and compassionate Holden is vis-a-vis his concern for the ducks in Central Park. Where do they go in winter, when the lagoon is frozen over? How many 16-year-old boys’ minds work like that? You see a boy who uses words like “lousy” and “moron.” But then he frets over delicate creatures. Questions of providence, or the lack thereof, might be asked here. The one ugly one, Laverne, wasn’t too bad a dancer, but the other one, old Marty, was murder. Old Marty was like dragging the Statue of Liberty around the floor. The only way I could even half enjoy myself dragging her around was if I amused myself a little. So I told her I just saw Gary Cooper, the movie star, on the other side of the floor. She practically stopped dancing, and started looking over everybody’s heads to see if she could see him. Secondly, Salinger explores the deeper issues of Holden’s character. Salinger is suggesting something about the role of the artist in the world. He (the artist) differs from the masses of humanity in that he notices what most never consider and/or suppress. Holden is sensitive to the power of genuine friendship (his relationship with Mr. Spencer, e.g.) innocence (his sister Phoebe, e.g.) and to the vast difference between artifice (what Holden calls “phony”) and the genuine. Allie, Holden’s deceased younger brother, exemplified the genuine—but he is gone. Allie had a baseball glove that he’d written poems on, and he’d read them when he was in the outfield. Now ask yourself: what would you think of a kid with poetry written on his baseball glove? Exactly. Seems odd. Sissy, perhaps. And if you thought that, you’re playing right into Salinger’s hands. He is suggesting something about the life of the artist. He (the artist/Holden-like, Allie-like) is an exile in a kingdom that thrives on artifice. He is a rebel doubly cursed because he feels the thorns of life. When phonies rule the world, where does the artist go? 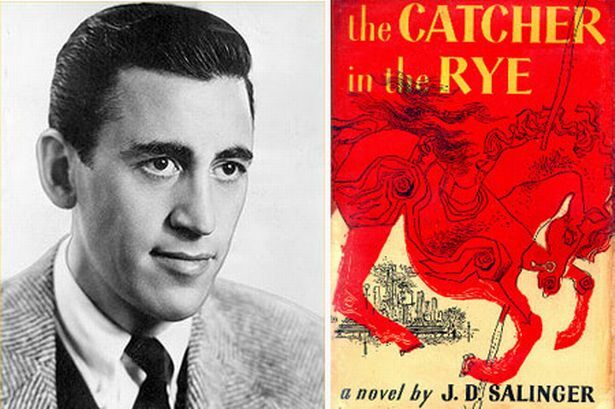 Holden’s repeated flight is a sad commentary on Salinger’s views with regard to that question. The fact that Salinger walled himself off from public life for most his writing life after his military service is not irrelevant here. Perhaps only Thomas Pynchon and Cormac McCarthy have been more guarded. This idea of the artist’s predicament is powerfully captured in the poem “What’s Wrong with Me” by Chase Twichell. Twichell writes of a sick coyote “ . . . crossing the field, /poisoned, injured, rabid, old, the rest of the pack anxious,/yipping and howling back and forth/across the valley as dusk comes on. What’s wrong with me is that/I find their music beautiful. I dwell on it long after it stops/and in the silence afterward I write down its words.” That is haunting and beautiful. Both the images and sounds recorded, and the fact that a person takes notice and subsequently labors to preserve that pathos, are noteworthy. He puts words to paper to capture the power of the cries of a hurt coyote, of the pack yelping, and of the sun sinking another day. Holden Caulfield is like the speaker in this poem. He notices what most would bypass, as they go on to the next distraction. Yet he’s caught in a dilemma: how does one fight for the genuine and enduring in a world obsessed with artifice and the temporal? Holden Caulfield is believable because Salinger was a master of tone (he attended to what the mouth reveals about the heart), and through The Catcher in the Rye, we are blessed with not only a master of narrative tone/voice, but also by one with a narrative exploration of how life cheapens or deepens, depending upon our view of aesthetics. Hemingway. Just reading his name connotes a persona. Solitary yet brave characters pervade his fiction. Santiago, for example, is the heroic wizened old fisherman in The Old Man and the Sea. Robert Jordan, another example, is the self-sacrificing bridge-blower in For Whom the Bell Tolls. And literary connoisseurs know of Hemingway’s trademark short declarative sentences. Imagine the opposite of Faulkner or Cormac McCarthy, and you get an idea of Hemingway’s terse unadorned style. Most scholars trace Hemingway’s stripped-down style to his years spent in journalism where linguistic precision and minimalism were prized. In less than a week, I fly out to another military deployment, and so I tend to read a lot of war novels and history in the months leading up to going across the pond again. Over the last few weeks I read Hemingway’s For Whom the Bell Tolls, a novel set during the Spanish Civil War (1936-1939). What follows is a three-part examination of the novel–overall summary, analysis, and assessment. Lastly, I pose a question or two for reflection. If you’re a fan of war novels, of Hemingway’s linguistic skill, or of Hemingway’s importance in the Western canon, I welcome your reading. Then they lay quiet and close together in the night, hot-aching, rigid, close together and holding her, Robert Jordan held closely too all those things that he knew could never happen, and he went on with it deliberately and said, “Rabbit, we will not always live in that hotel” (Hemingway, 1940, p. 346). At least a couple of things are seen in the above excerpt. First, we sense Maria’s naiveté. Her mind over-inflates the beauties of Madrid as a counterpoint to the carnage she and Jordan are currently in. And secondly, we sense Jordan’s internal recognition of “things that he knew could never happen.” There is, in short, recognition by Hemingway’s main character that the relationship will not end happily. In typical Hemingway fashion, the protagonist suffers this recognition silently. He keeps it to himself. He is a man in love, yes, but a man nonetheless alone. If this was how it was then this was how it was. But there was no law that made him say he liked it. I did not know that I could ever feel what I have felt, he thought. Nor that this could happen to me. I would like to have it for my whole life. You will, the other part of him said. You will. You have it now and that is all your whole life is; now. There is nothing else than now. There is neither yesterday, certainly, nor is there any tomorrow. How old must you be before you know that? There is only now, and if now is only two days, then two days is your life and everything in it will be in proportion. This is how you live a life in two days. And if you stop complaining and asking for what you never will get, you will have a good life. A good life is not measured by any biblical span (Hemingway, 1940, p. 169). Hemingway shows his hand here by having his protagonist demonstrate his worldview. Jordan is secular. There is no God in his thinking. What matters is this world, the here and now, and he should not look for cosmic justice. Eat, drink, and be merry now, for that is all there is. There is no “biblical span” in this man’s thinking. Assessment: How do I therefore judge the novel? What are my visceral and intellectual evaluations of the novel and its worldview? Is Hemingway’s worldview, at least as evidenced through this novel, accurate? Is the worldview given the way reality really is? As a story of a man in war, a man against overwhelming odds, the novel succeeds as far as it goes. As a military man, I appreciated the specifics and accuracy with which Hemingway denotes calibers of weapons, the precision of maps and cartography, the models of aircraft, etc. All of these rang true. How did the novel affect me emotionally? How did it stir me? In short, it stirred me because I felt what it was like to view life as a secularist. Though I am a Christian, I revisited what the Bible calls the natural man’s way of seeing the world. Here is an example of Hemingway’s demonstration of his (and Jordan’s) atheism. I wish Grandfather were here instead of me. Well, maybe we will all be together by tomorrow night. If there should be any such damn fool business as a hereafter, and I’m sure there isn’t, he thought, I would certainly like to talk to him (Hemingway, 1940, p. 338). Here I see Jordan’s view of life as a secularist. He longs for ultimate redemption and the benefits of an afterlife to commune with his beloved grandfather but he rejects it, too. It seems foolishness to him. Biblically speaking, redemption is foolishness to the perishing. 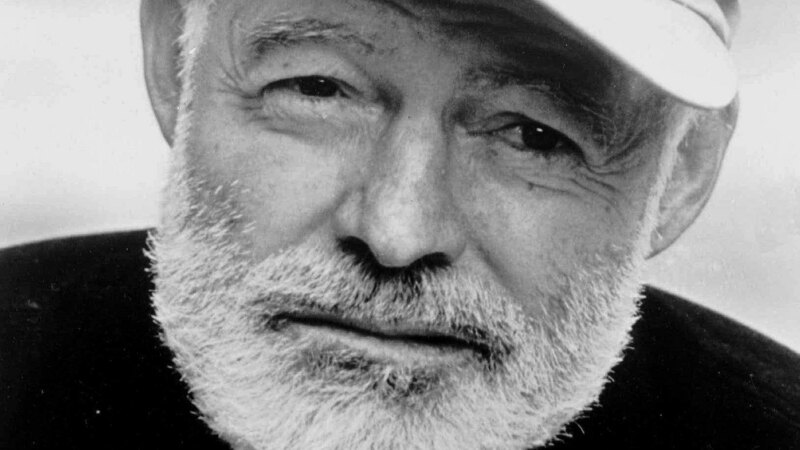 A question or two: What if Hemingway was wrong? What if God does exist? Would Robert Jordan then embrace him? I don’t see any evidence of that in the text. What I do see is a man who, because he exiles God from his worldview, becomes an exile himself. He longs for love but believes he is unworthy of it from Maria, and that he will fail her. His god becomes his own pride, valor, courage in battle, and his sense of honor. But what do these terms mean in a universe devoid of the God who offers transcendent value? If all is material, whence come these values? How does the atheist account for objective values? I would argue that he cannot. They are preferences, but not objective values. Jordan is an exile from Eden (in which he doesn’t believe, but against which he nonetheless rebels), and his exile is self-imposed. Ever taken a personality test? In the military chaplain corps we have access to many curricula that use personality tests as part of their programs. Some tests make use of animals as symbols for personality types. Beavers are structured types who appreciate regimens and rules. Otters are those who frolic and want as much of life as possible to be a festival. Other tests use shapes. Circle types seek harmony and collaboration whereas triangle types are charismatic leaders asking, “How can I accomplish this?” Still other tests use colors wherein yellow types are adrenaline junkies who often tend to be self-centered, whereas blues are known for their loyalty in relationships and their careful self-discipline. I appreciate these tests in so far as they go. However, people are more complicated than just a dominant personality type. We all have peculiar personality traits wherein we trend towards certain behaviors more often. But we have shades of more than one color. We are not just one type/shape/color vis-à-vis our personalities. Different stressors elicit different parts of ourselves. How important is it, therefore, that we consider our ways? Personality tests are helpful as a possible starting point for understanding people. But might there be more value in considering our ways? Danger lurks when we gloss over commands so fundamental as simply to consider our ways. What did God mean? Just what he said. To consider, to give thought to, to reflect upon the ways in which we spend our time. God commanded what was good for the people—namely, that they consider their ways. Ever since the Sunday school hour I have kept hearing that refrain—consider your ways. My mind went to a Braves game several days ago. My family and I had gone as part of a group to enjoy another game with some friends. The game ended up being postponed due to rain. But before that happened, we did have time for the “Star Spangled Banner” to be played. I’m an officer in the U.S. military. I am moved each time I hear the tune and recite the words. Bravery, sacrifice, and brotherhood are not just talking points to me. I know heroes and work alongside many each day. But what I noticed when the flag was displayed on the massive electronic billboard inside the stadium was that many (particularly youngish) people in the stadium did not remove their hats. No respect for the national anthem. Nor did many of them even stop talking. They kept eating their peanuts and Cracker Jacks. Why do I bring this up? It’s not just to suggest that respect for America’s exceptionalism has been emasculated. It’s not even just to suggest that a coarsening has taken place among many of America’s Millennials. And it is certainly not to suggest American patriotism is salvific or in any way the gospel of Christianity. But as an American, as a military officer, as a husband and father, I grieved inside. I was saddened that young men would not take thirty seconds to remove their ball caps, hush their talking, and at least honor the nation that allows us all to enjoy America’s pastime. I wonder how many of us in the stadium were considering our ways. I know at least one person who was convicted. I see him daily … in the mirror, when I rise early to shave. Haggai spoke powerful prophetic words: let us consider our ways. Biography is defined as the story of a person’s life, either in whole or in part. A few years ago I discovered that I was reading a lot of biographies. Certain authors and thinkers intrigue me. It’s seldom I agree with all of what they write and/or create, but because I fear superficial knowledge, I try to read all of a writer’s works. It seems only fair to do so in order to evaluate his/her worldview. Recently I read several bios of Winston Churchill, Katherine Anne Porter, and Emily Dickinson. Each led me into deeper appreciation for those writers’ lives and accomplishments. Over the last several weeks I have been rereading the works of Carson McCullers and two biographies of her, too. One is by Savigneau and another is by Carr. Readers, if they have heard of McCullers at all, tend to know of her novel The Heart Is a Lonely Hunter. That was the first of her works I read, too. When I was seventeen and a freshman in college, I read that novel over the course of a few all-nighters. Back then, I kept vampire hours and would read until dawn, then go to classes pale and sleepy for having been up all night reading. Now I go to sleep early and rise early, and I still like The Heart Is a Lonely Hunter–several decades later. What’s more, I reread novels, plays, and poems that resonate with me. Certain books shape me more than others. I’ve read hundreds, perhaps thousands, of novels and or pieces of literary fiction, but a dozen or so pieces abide. Several Faulkner novels and pieces of his short fiction move me so powerfully that I find myself an apologist for the potency of literature. Dostoyevsky’s grasp of man’s psychology is staggeringly profound. The works of Flannery O’Connor and Cormac McCarthy seem to me so magnificently crafted I marvel at the literary gifts of their creators. Certain Dickens characters cause me to wonder at his panoramic imagination. Here was a man who created David Copperfield, Pip, Joe, Sydney Carton, and Scrooge, among scores of others. 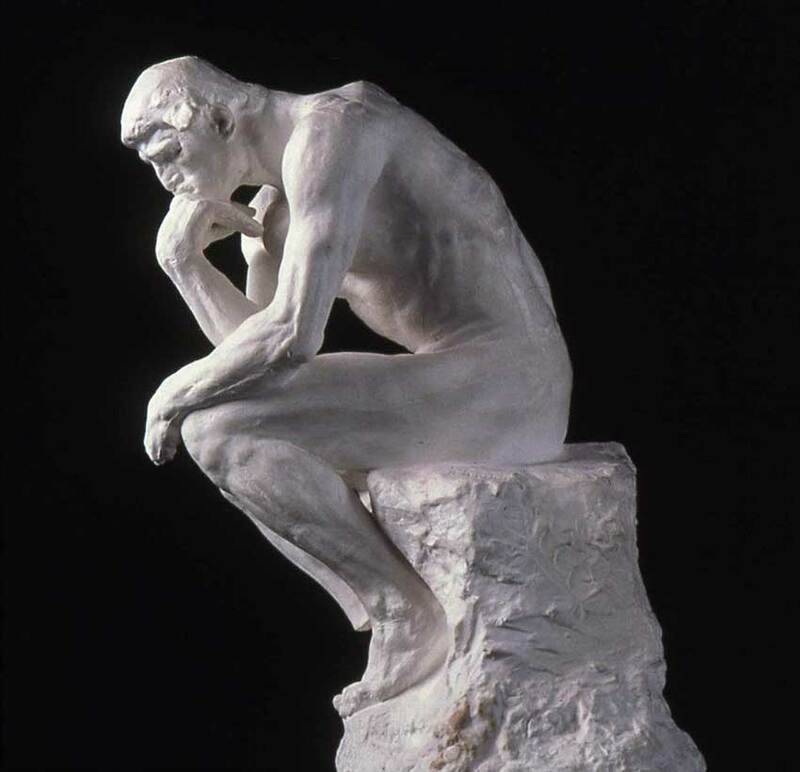 Literature, the best of it, moves the soul, the mind, the imagination; it makes us see ourselves as creatures wonderful and yet fallen, noble in our capacities to sacrifice and endure, compassionate and yet terrifyingly cruel, as exiles from Eden, poor players in search of (and often in rebellion against) ultimate reality. Death teaches us—if we will listen—that this universe is not the way it was originally. To use biblical language, the universe is under a curse. God told our first parents, “[C]ursed is the ground because of you; in pain you shall eat of it all the days of your life;” (Gen 3:17). Why? Because of our sin. And Paul, thousands of years later, continued that theme in Romans 8: “For we know that the whole creation has been groaning together in the pains of childbirth until now. And not only the creation, but we ourselves, who have the firstfruits of the Spirit, groan inwardly as we wait eagerly for adoption as sons, the redemption of our bodies” (8:22-23). 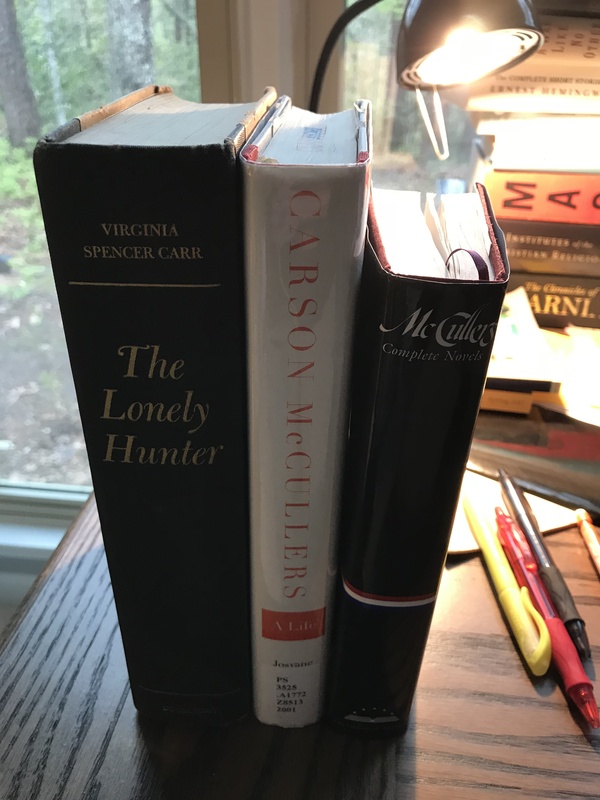 Carson McCullers’ The Heart Is a Lonely Hunter explores this idea of being cursed with groanings/longings/yearnings impossible to satisfy just by way of our fellow men. Instead we see characters take their own lives. We see characters that are deaf and mute—symbolic conditions for man’s inability to communicate sufficiently, his inability to cure his spiritual loneliness. This brings me to what I relearned in reading McCullers’ work, and reading bios of her life as an artist. We do long for fellowship; we do labor under a curse; we do long for redemption. We do long to have our hearts satisfied. And great literature can call attention to these great themes. But what if it is true what Solomon wrote? In Ecclesiastes, Solomon wrote, “he [God] has put eternity into man’s heart” (Eccl 3:11a). When I read wonderfully talented writers like McCullers, very often they’re adept at seeing the tragedies in life. For McCullers, she spent her short lifetime writing about the loneliness that plagues mankind, whether we admit it to others or not. But what she and few other wonderfully talented writers less often embrace, however, is the One who came so that all that was cursed because of sin and the first Adam will be made right through the second Adam: Jesus. He knows the longing for eternity in our hearts because he placed it there. “Why must you bring Jesus into everything?” James asked. “Sorry? What do you mean?” Sam responded. “Why must you bring Jesus into everything? Why can’t things be just what they are . . . without any Jesus, just as you find them?” James said. James’ starched white collar dug into the sunburned skin of his neck. He was shaved immaculately. His tie was knotted in a perfect Windsor. “Why did you come to church today?” Sam asked. “Why do you do that? You didn’t answer my question.” James’ voice grew louder. Sam watched muscles in James’ neck create spurs of taut skin that ran down from below red earlobes and disappeared behind the Windsor knot. “Today is what many people call Easter, is that right?” Sam asked. “What is it that Christians are remembering and celebrating?” Sam asked. “Do you believe that?” Sam asked. “Both are important. But the second issue is the main one,” Sam responded. “I understand. But did the resurrection of Jesus occur?” Sam repeated. “Why do you say Jesus was a good man, James?” Sam asked. “I agree. Jesus did all those things. But would a man who did all those good things be worthy of worship if he only died but did not physically resurrect?” Sam asked. “That’s not why I’m here, James.” Sam said. “No, I believe the resurrection completely. If I didn’t I would not follow Jesus at all,” Sam said. “Why would I love my neighbors, if Jesus didn’t resurrect? I don’t even like a lot of my neighbors. In fact, my closest neighbor, I’m pretty sure, is cheating on his wife,” Sam retorted. “I’m pretty sure I don’t love him. I think, quite honestly, he’s kind of a creep.” Sam said. “I do. I believe him completely. That’s where I think you and I differ. I believe I should love my neighbor who is cheating on his wife. And I believe I should love you, too, even when we disagree completely about the resurrection. And I believe that I should love my neighbor, you, and Jesus because of the resurrection,” Sam said. “If Jesus is still buried in Jerusalem, my options are about as meaningful as preferences of ice cream flavors,” Sam said. “You believe it, then?” James asked. His eyes bore into Sam like nails. James stood motionless. His earlobes were red and swollen above his shirt collar. Sam watched him as he tweaked his perfect Windsor knot. “Yes?” James said, looking up. James was already walking back to the foyer. He crossed it and entered the men’s room. He walked to the sink, lathered his hands with lemon-scented liquid soap, rinsed, and pulled three brown folded towels from the white dispenser mounted on the white wall. He readjusted his tie, shaping the knot into a perfectly symmetrical inverted triangle. 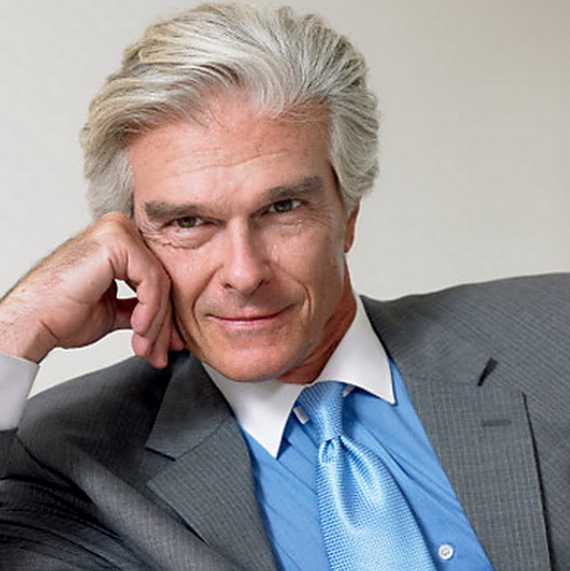 He pulled the short end of his tie again for a tighter knot, and pushed his chin upward in front of the mirror to check for any hairs he could have missed on his neckline, but none showed. He appeared perfect and clean. He walked into the foyer again, careful to avoid Sam. Finding his family seated where they’d been for generations, he took his place.